In the seaside town of Jeffreys Bay, South Africa, students have come from around the world to equip themselves, and experience the transformative power of God. Victory Gap Year is a unique experience; providing a healthy environment for you to learn about life and leadership within the Kingdom of God. This is the year for you to establish your identity in Christ and build a solid, Biblical foundation into your life, while developing your leadership and character. Set yourself up for a life of purpose, destiny, and significance, making an impact on any sphere of society you are called to. Leaders are those who realize their potential and continually seek ways to better themselves in order to successfully influence the people around them. They are found in all areas of society; they are the pioneers, the frontrunners, the ground breakers. With the Leadership stream, we are passionate about developing and equipping the next generation of leaders. As a young leader, you are invited take up the challenge, to step into your potential, and live your life of influence. Developing a Kingdom mindset throughout all aspects of daily life. Establishing a firm theoretical foundation in both leadership principles and social enterprise. Promoting Action Learning, as well as developing a mindset that challenges the relevance of its assumptions. Understanding your specific strengths, and how to develop them in preparation for a researched career or field of work. Worship is more than just a song; it is a way of thinking, it’s a way of believing, it is a way of living. We were created for worship. Living a life of worship means reflecting Christ within you to the people around you. In the Worship stream, we work to establish a new generation of worshipers to go out into any sphere of society and usher people into the presence of God. Pursue your passion for music. Cultivate your calling as an artist. Embrace a lifestyle of worship that will bring others into the Kingdom of God. The WORSHIP stream is about equipping, empowering, and sending a new generation of musicians and artists to advance the Kingdom of God. Worshipers finding their God given sound and song. Embrace your true identity in God and grasping the powerful relationship between character and competence. Influencing society and seeing it impacted by whole people who value skill and excellence in their craft. The media industry educates us, it updates us, the media entertains us, and it connects us. It shapes our identities and informs our attitudes. But at its foundation, media is only a tool to communicate a message; it is a very effective “how” to society’s “what”. The Media stream is passionate about both, introducing you to different fields of media and how to use them effectively within the Kingdom. One message influencing many through the lens of media. The MEDIA stream aims to adopt tomorrow’s platforms for today’s Kingdom purpose, providing experience across the broad span of the media spectrum while laying a solid Biblical foundation for life. Introduce you to a wide variety of media platforms including photography, videography, graphic design, sound design and more. Gain an understanding of the creative industry by interacting with real world media companies and experts. Develop your creative thinking to enable you to communicate and release a message that will influence the culture. Unlock and discover your God given creative talents. Acquire practical experience in different forms of media by being an integral part of weekly events requiring skills learned throughout the course. 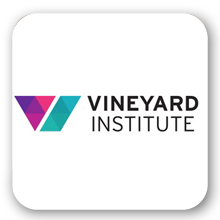 As of 2014 (the last quarter), a strategic collaboration between two international networks of churches begins, namely Church of the Nations and Vineyard Institute, the global education and training system for Vineyard churches worldwide. Here are some significant points about this collaboration. Enthusiastic about media and radio? Want to make a difference in your city or nation? 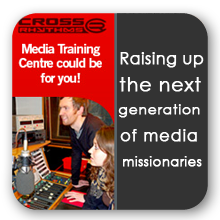 Cross Rhythms Media Training Centre could be for you! Cross Rhythms launched their media training centre in September 2012.